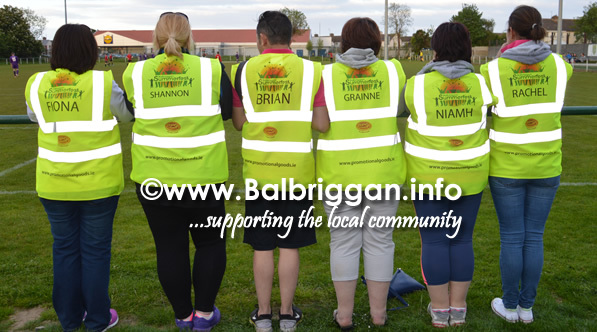 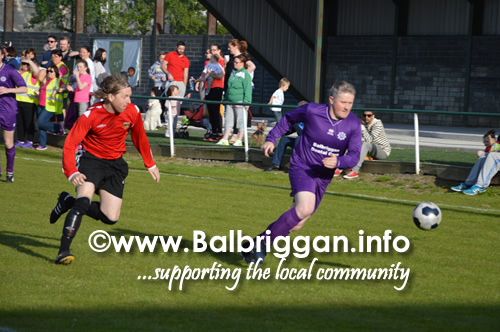 A great match tonight in Glebe North Football grounds as Balbriggan Gardai took on Balbriggan Locals in aid of Temple Street Children’s Hospital. 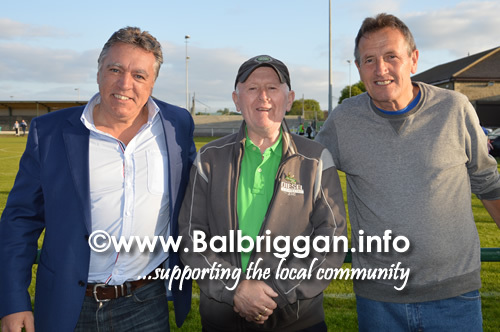 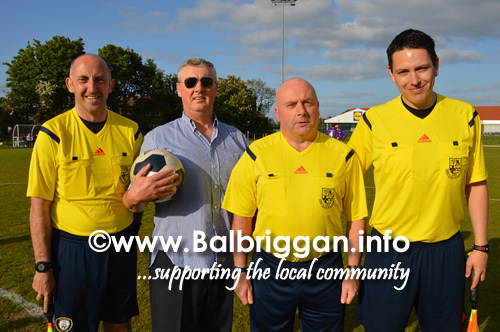 MC Mark Halligan kept the spectators up to date and Ref John Thornton did a great job of keeping both teams in check. 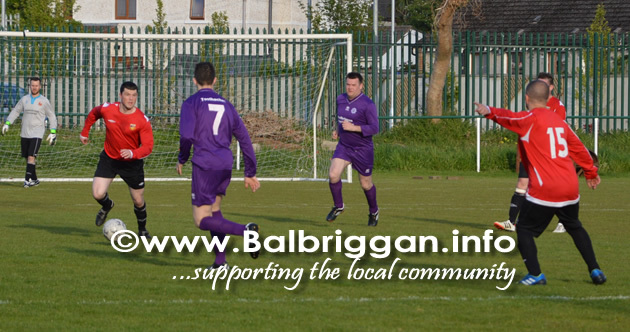 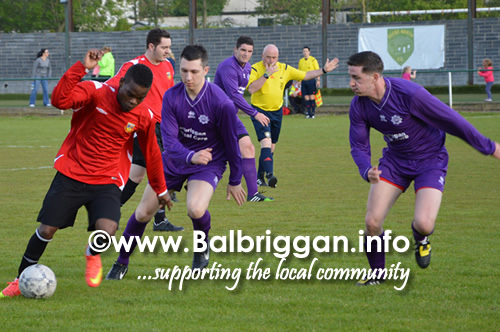 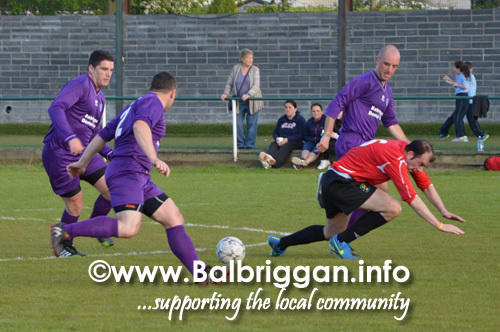 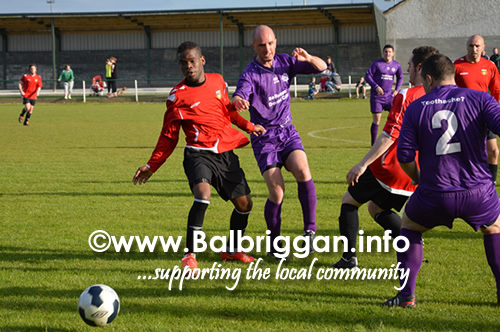 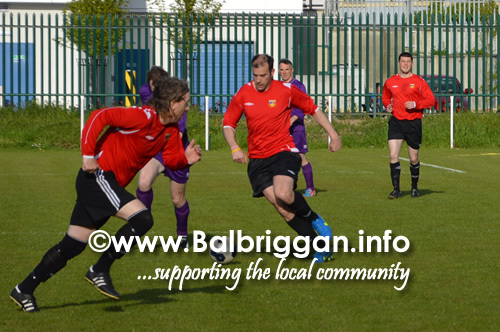 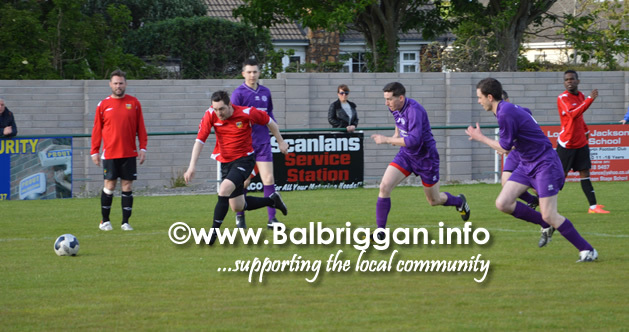 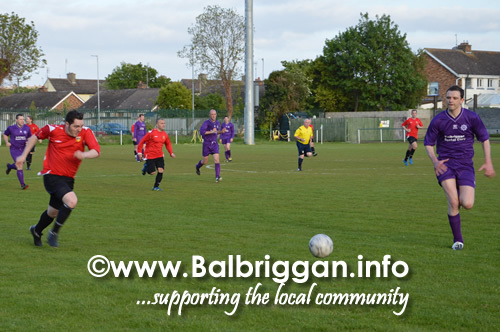 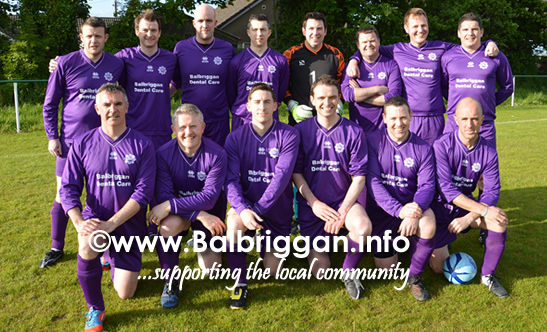 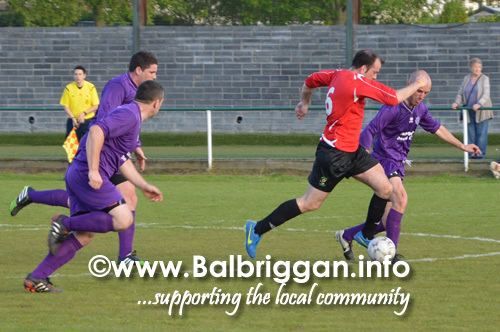 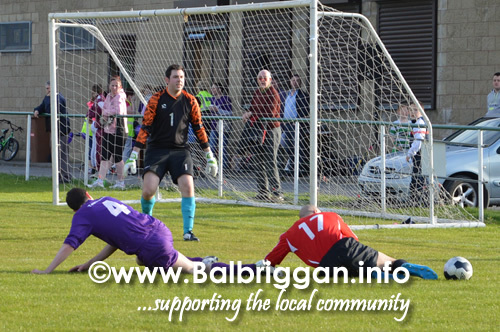 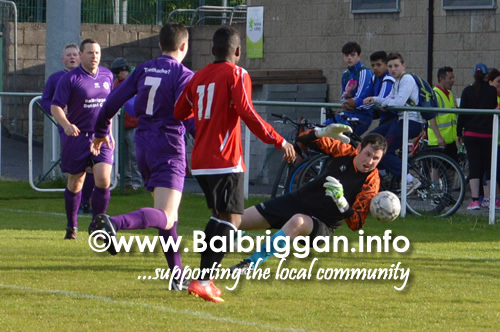 The teams battled it out with the match ending 3:3 and the game going to Balbriggan Gardai on penalties. 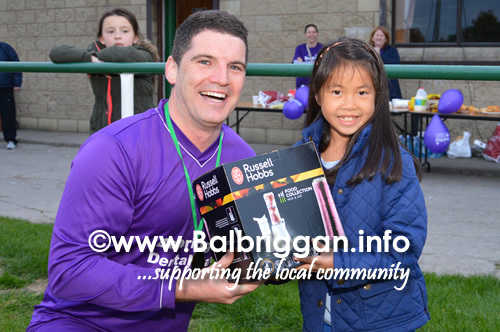 Presenting the prize to the winning team was Mia Kemp and her Dad Sergeant Dave Kemp. 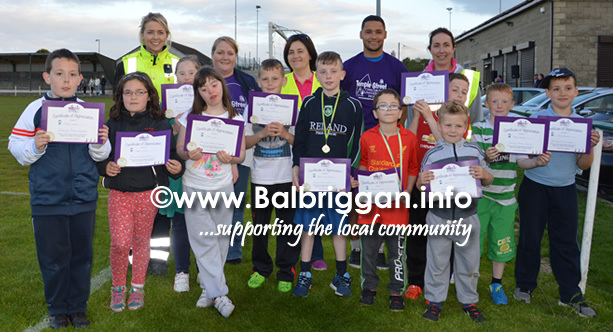 Mia spent time in Temple Street Children’s hospital and was delighted to hand medals out to the winning team. 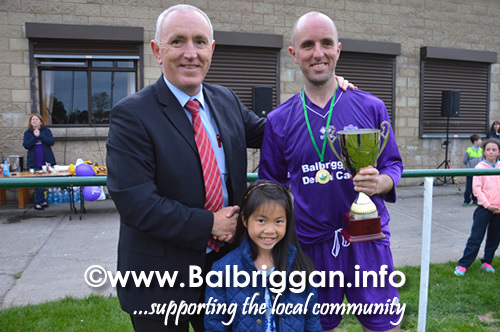 Man of the match went to Garda Keith Horgan who scored 2 great goals for his team. 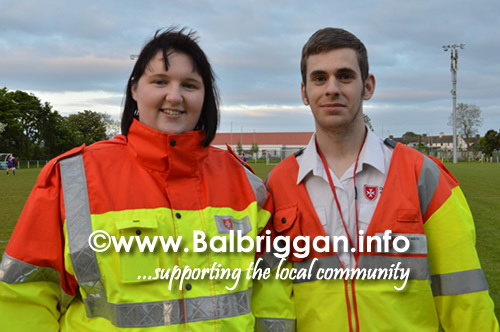 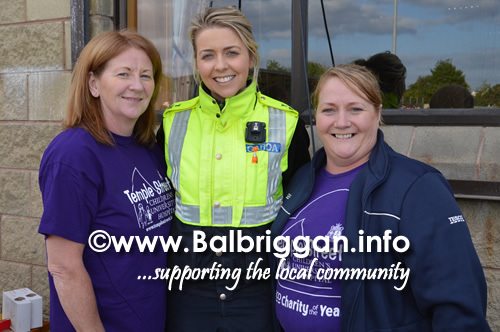 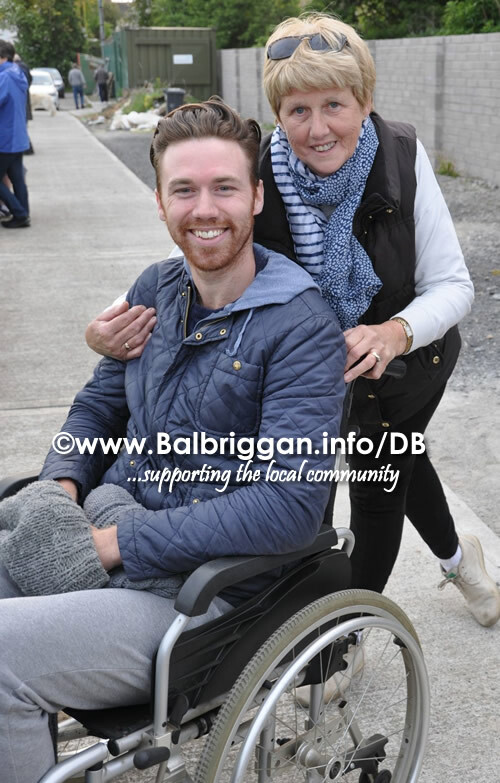 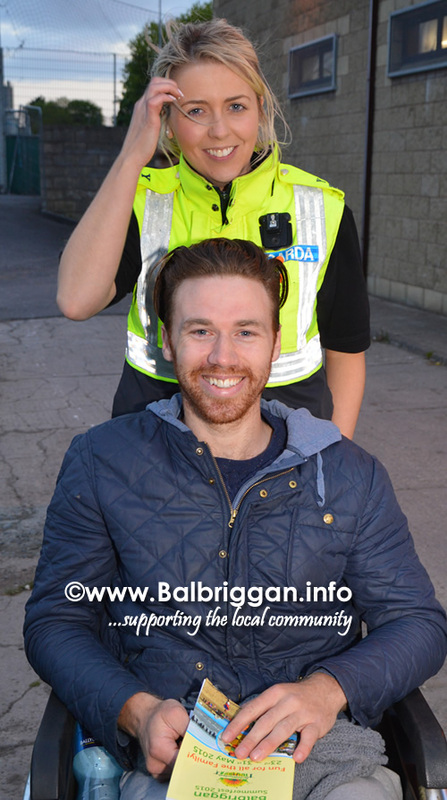 Garda Kate Daly Ní Bhroín and Garda Dave Sheeran would like to thank the teams, FAI officials, ref John Thornton, Supervalu Balbriggan, The Hamlet Bar, Tesco Balbriggan, Goldsmith Jewelers, Balbriggan Summerfest Committee, Mark Halligan and Brian Murray and all the spectators who turned up to support the teams.